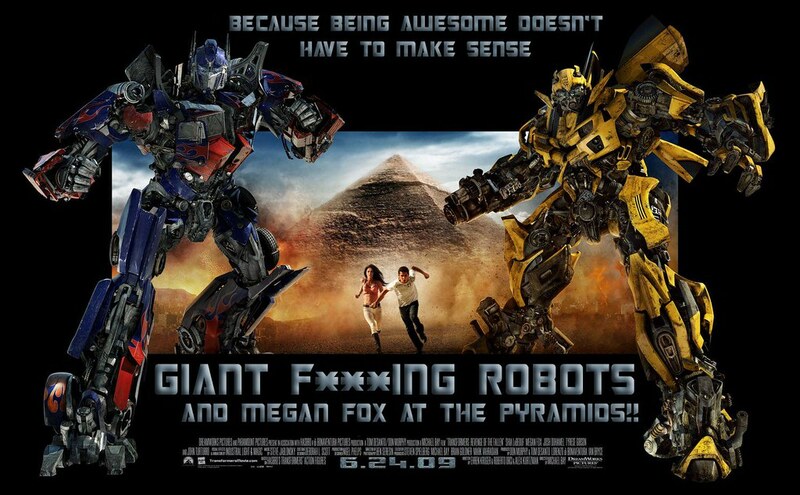 This entry was posted on July 13, 2009 at 4:21 pm and is filed under movies, reviews, Transformers with tags Movie Manathon, movies, reviews, Transformers. You can follow any responses to this entry through the RSS 2.0 feed. You can skip to the end and leave a response. Pinging is currently not allowed. Sorry about misleading you on The Spirit. I guess I was in the mood for stupid and stylish. Also, I told you Dune the movie was well cast but crap. Now watch the miniseries and imagin the awesomeness of the Lynch cast and costumery with the miniseries script. Totally disagree with the Punisher staying in the comic. Unless the next one is Dolph Lundgren bad, I’ll be in the front row. I can go either way. But, really, Punisher is similar to a John Cena movie. Ex special forces becomes a cop and must stop the mob, a gang, a killer, etc. I prefer other characters. I won’t mourn Punisher movies if they stop. Yeah, not only was Dune a failure, it was a SPECTACULAR failure. I have the Sci-fi mini series on my Netflix queue. It may be a while before I see it, though. On a completely unrelated note, I’m loving Star Wars: Death Star. Fantastic book. I have to admit, even as a huge Transformers fan, Sam Witwicky: Revenge of the Fallen isn’t quite my favorite movie. Giant robots beating the mess out of each other? Pretty cool, except a) they get hard to tell apart visually, and b) characterization felt pretty minimal. I don’t mind humans being involved, but I liked the NEST troops well enough without having Shia, Turturro, Shia’s doof roommate, and Shia’s drugged-up mother absorbing what felt like the majority of the screen time. To Megan Fox’s credit, at least she’s easy on the eyes. I’m rather upset about Fox’s absence from the upcoming third movie, not for her, but because now I’m worried a good chunk of the movie is going to be about Sam and Mikaela breaking up and Sam hooking up with a new girl. At least Spike got to become the head of Fortress Maximus and save the entire race and Cybertron in the old cartoon. I really don’t think Sam is going to get a Crowning Moment of Awesome like that.